This article originally appeared in Bad Reputation – a feminist pop-culture adventure on 28 February 2012. This was going to be a very light and fluffy post, raising an arched eyebrow at an interesting find, but over the course of writing this article I made some discoveries which made it seem less of a frippery. But more on that later. 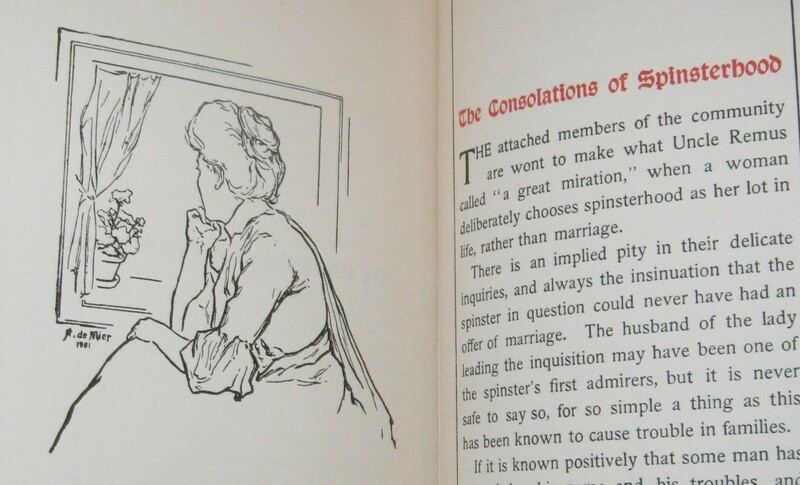 Let’s start at the beginning: I was browsing in a charity shop when I found a 1901 book (okay, fine, the 1903 reprint) with the incredible name The Spinster Book. Even brushing aside, for a moment, the hilarious and wonderful title – it’s amazing. I mean, just look at it. Look harder! It’s all lavender and embossing and gold leaf and a looking-glass (wonderfully implying ‘it could be YOU’). It’s an absolutely sodding gorgeous book: rough uncut paper edges on two sides, gold leaf on the top, strange red-and-black printing on the pages which reminds me a little of the Kelmscott Press facsimile I own (made by William Morris. The most beautiful books since illuminated manuscripts. OHMIGOD read his Chaucer… *cough* Excuse me, I seem to have bibliophiled all over the place). Buh. Duh…. whu? A man being self-centred is actually selfless, because he’s only doing it to be adorable. So lighten up and adore him some more, regardless of how conceited he is? Can… can I get an irony check on this? So, yes, I was unsure what to make of this tone. 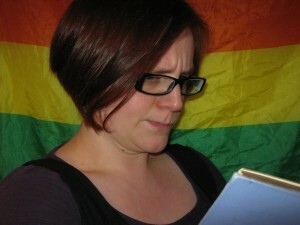 Then our lovely editor Googled the author, Myrtle Reed, and some more information fell into place. By all accounts, Reed was well-known and admired in her own time. She was the author of some thirty books, which included cookbooks (published under the name Olive Green) and novels under her real name – the best known of which is probably Lavender and Old Lace. 1911: Died of a deliberate overdose of sleeping pills/powders aged 37. No one on the outside knew of anything bad within their marriage. Indeed, according to Annie, Myrtle Reed’s maid, she “had never heard Mrs McCullough [née Reed] quarrel with her husband during the four years she had been at their home.” It’s useless to guess what lay behind it, at how much was a depressive tendency (which certainly seems to show in The Spinster Book), how much was a bad relationship and how much was a clearly intelligent and ambitious woman feeling desperate and trapped in a society which didn’t have many roles for women. I don’t really know how to end this post. It started with a brilliant charity shop find which had me so hyped I that was reading passages aloud to my flatmate on the tube until he pretended he didn’t know me… and it’s ended with a bit of a reality-check, I suppose. Although she never states in as many words that she herself is a spinster, Reed was writing the book at age 27 – five years past a woman’s usual marrying age. 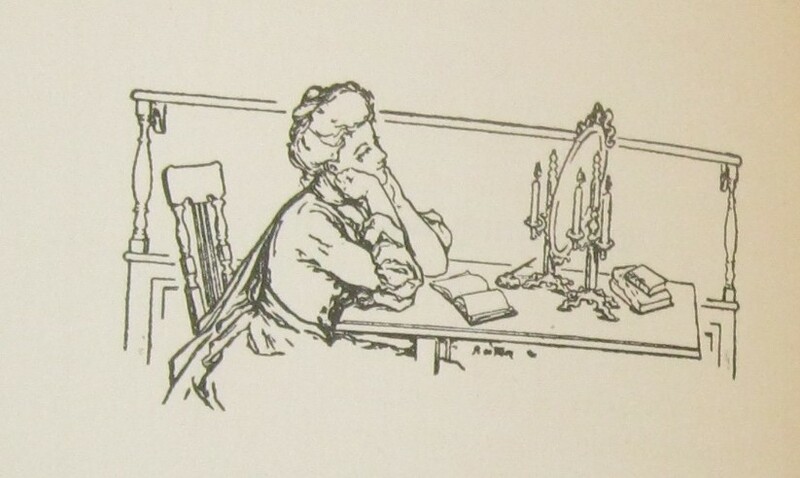 By the standards of her time, she was now a spinster, and was presumably preparing herself for the future. 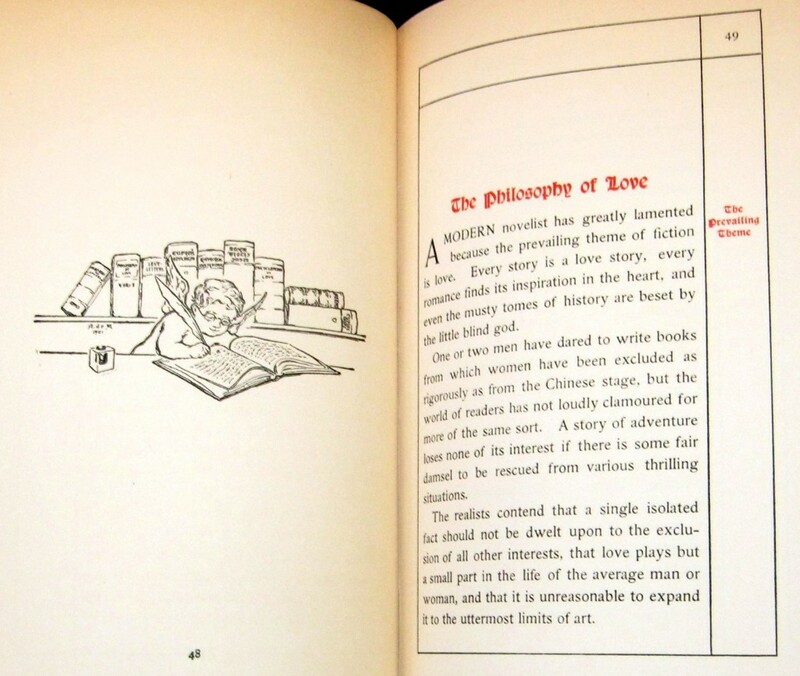 The advice I saw as laughable – that being a spinster isn’t so bad as a woman might yet find herself a nice widower – was, presumably, Myrtle Reed’s actual hope. Although she was a successful and prolific novelist in her own time, the stigma of spinsterhood would have seemed to erode the achievements she had rightfully earned. Reed implies heavily in The Spinster Book that she would have traded it all in for a husband. Except that when she did eventually marry, that clearly didn’t make her happy either. As much as I love mocking dating advice (old and new) for any hint of gendered assumptions, Myrtle Reed didn’t ‘opt in’ to play by those rules. In 1901 there wasn’t an ‘opt out’. And shame on me for finding the topic so hilariously trivial in the first place. Check your 21st century privilege, Hannah. If I’d lived in a time and a society where marriage was my home, my job, my finances, my legal rights and my love life all rolled into one – you bet your arse I’d agonise over it. I’d probably buy a few books on the topic too. For every snide, ironic, 21st century reader, there were probably dozens of contemporary readers poring over this book’s advice and worrying about their futures. I do have freedom and choices and don’t have to play nasty games to secure a man to secure my future stability – but you don’t have to go back even half as far as Reed’s time to find women who did have to work within this crapshoot of a system. Whilst artefacts like The Spinster Book make interesting time-pieces, we should never forget that many of us who stumble across it now are the lucky ones – and that our privilege is incredibly rare. And I guess that’s one of the main reasons why I’m a feminist in the first place. 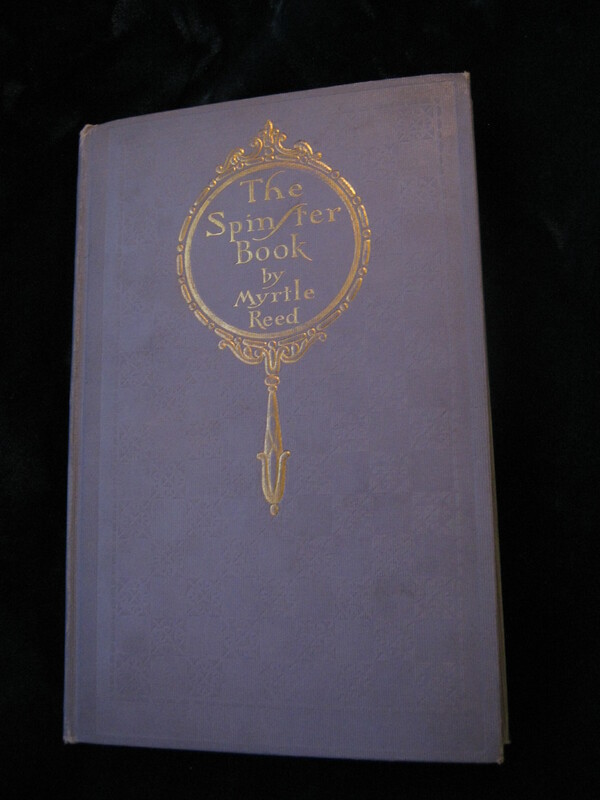 The full text of The Spinster Book is available on Project Gutenberg. 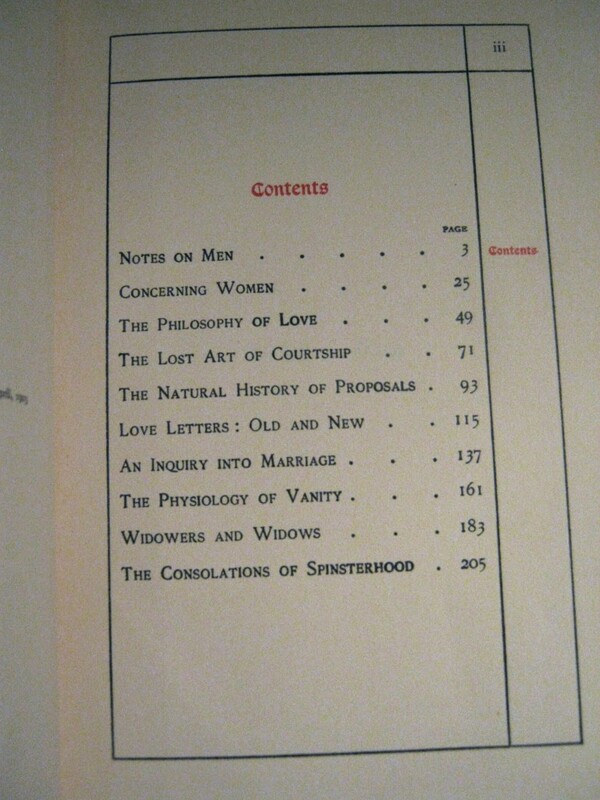 Posted in Arts, Blog, Book reviews, Feminism, ReviewsTagged Bad Reputation, BadRepUK, book review, charity shop, found feminism, hilarious, history, marriage, sad, spinster, the personal is politicalBookmark the permalink. That suicide note should be the foreword to the book! Thanks for a VERY interesting article – very well written, ant thank you for mentioning thas she also wrote cookbooks, a very important information to me, as a passionate collector of rare such. Best regards from Denmark (and pardon my sad/bad/poor english! ;.) Karen.